Two individual defensive drills (“Bigs” & “Smalls”) to teach the basics of post and perimeter man-to-man defense. 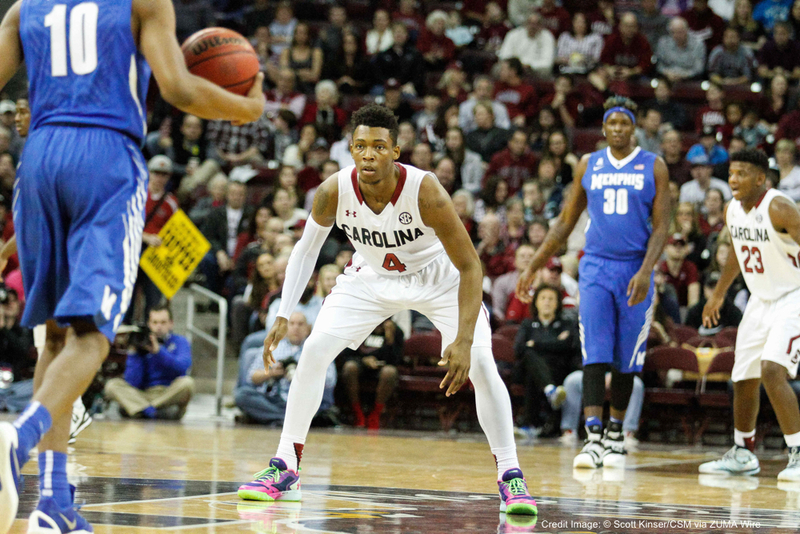 Success on the defensive end of the floor often comes down to winning individual match ups. But of course, defense is more complex than one-on-one. It involves individual players helping, rotating, communicating and giving effort in concert to get a stop. Team defense is built from individual defense and these drills teach the basic but critical concepts of one-on-one defense. Keeping the ball out of the heart of the defense is vital. Post defenders learn imperative techniques such as forcing behind, fronting and the X-step in the individual defensive drill Bigs. As more teams are running four-out and five-out offenses, it is also important for post defenders to develop perimeter defensive skills. The third and fourth phases of this drill address those techniques. Be physical! The first step is to physically confront the post near the free throw line and force the post to cut behind you. Do not concede the post area to the offensive player. When the ball is passed from wing to the corner, X-step across the front of the post to the baseline side. Containing the ball, defending the basket cut and helping often falls on the shoulders of perimeter defenders. Smalls is a drill which teaches those skills and more. The drill begins with containing the ball and keeping in out of the middle in a full court setting and concludes with one-on-one defense from the top of the circle. In between, players must front a basket cut, demonstrate helpside positioning and defend ball flashes. In the full court setting, use the checkpoints to determine stance angle and give cushion based on speed distance from the basket. When the dribbler changes direction, jump around and force back to a sideline checkpoint. Do not “head turn” when player passes to coach on the wing. Jump to the ball to prevent the return pass and force the rear cut. When the offensive player exits the lane, do not follow him/her! Do not get “sucker cut” outside of the lane. Do not allow players to flash across your face to the ball. Force the catch of the centering pass from the coach to the top of the key to be caught going away from the basket. Ideally, the player catches the pass with their back to the rim. 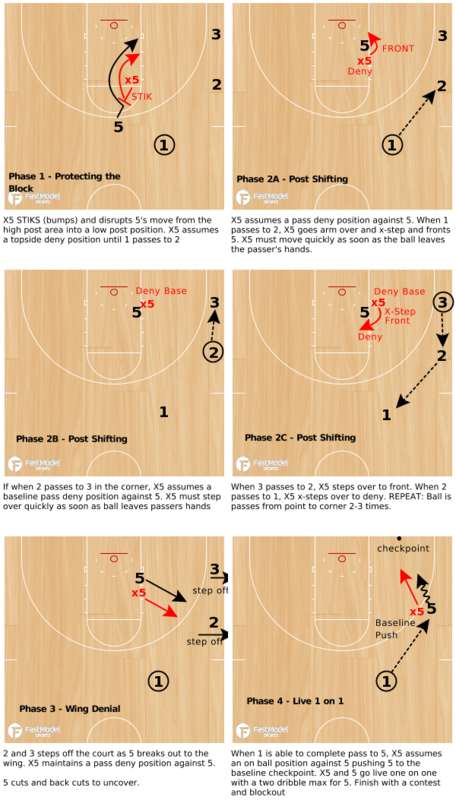 Drill restriction: Limit the offensive player to two to three dribbles in the “live” portion of Phase 3. And always finish with a contested shot and rebound! Individual defensive techniques are the pieces of the team defense puzzle. Defense is black and white. There is little grey area. These drills teach the “musts” players need in several defensive situations. Use these drills to groove the fundamentals your players need to fit into the finish product.